Black garlic is a caramelised style of traditional garlic that has it’s origins in ancient Asian history. 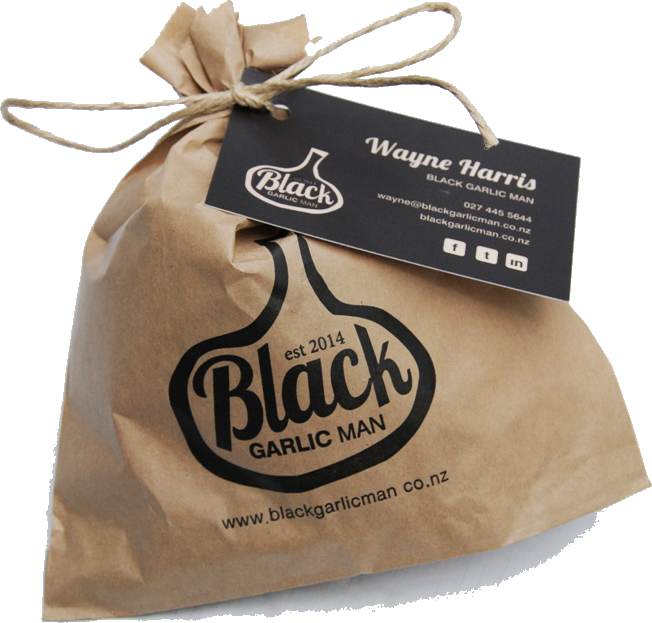 Black Garlic Mans' garlic is the result of a four year, unaided development programme. 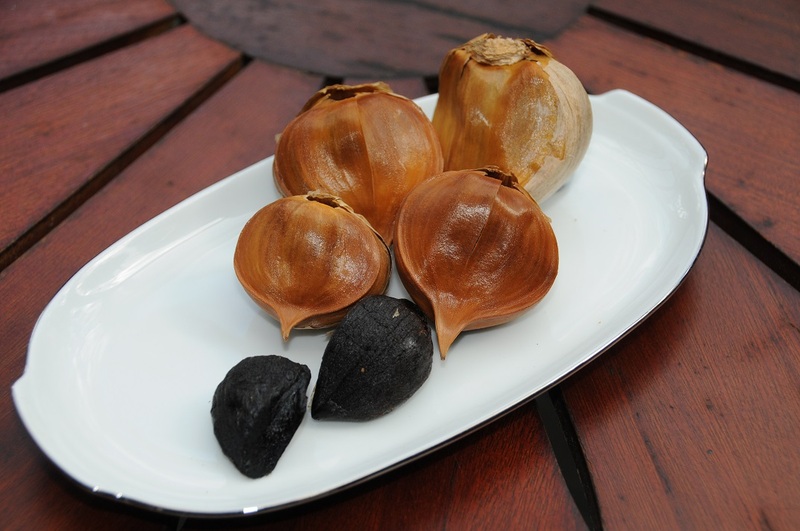 Black Garlic Man now produces a versatile, quality product that is rapidly growing in popularity. 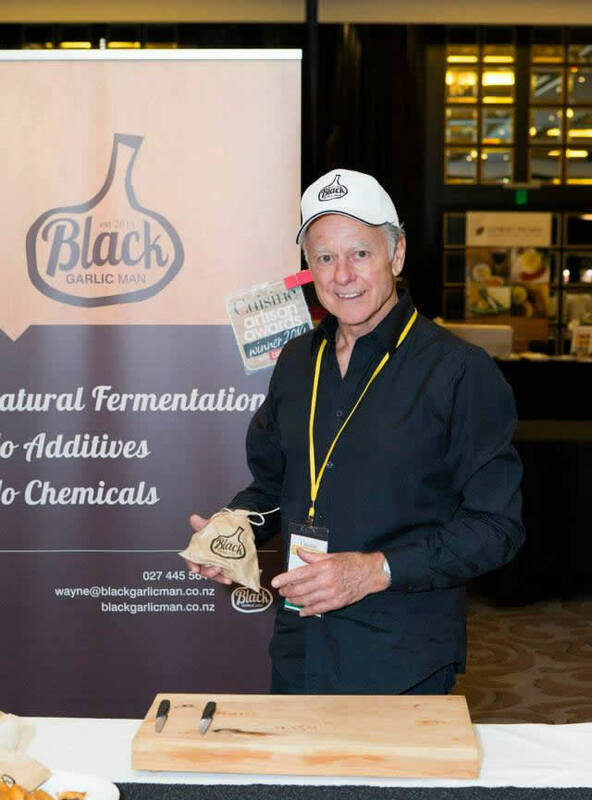 The grower who supplies the raw product, while not certified organic, certainly farms in accordance with organic principles and Black Garlic Man pops up from time to time to monitor progress from planting through to harvest. The high standard of this crop is based on 11 years experience and is grown in naturally fertile volcanic soil. Black Garlic Man discovered this quality garlic at the local Whangarei farmers market in New Zealand's northern region. 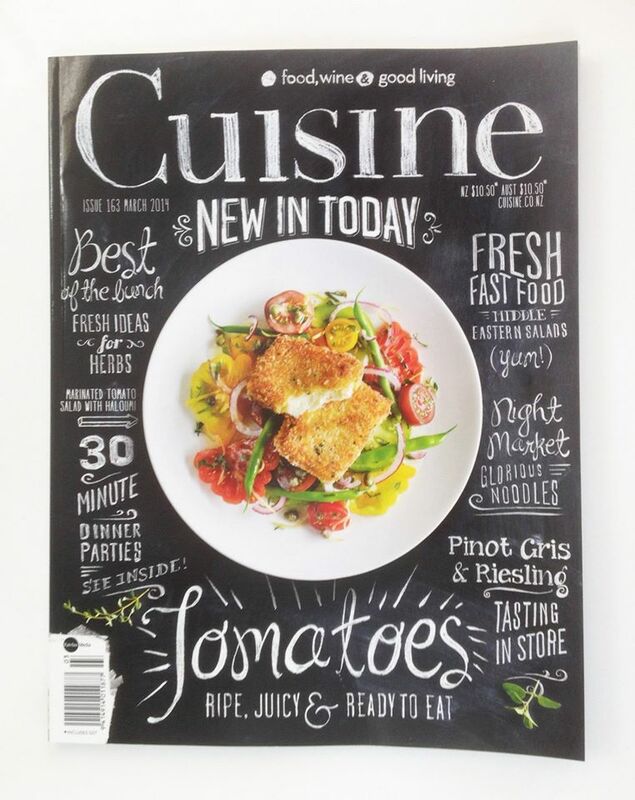 This is truly a great example of grass roots New Zealand cottage industry. 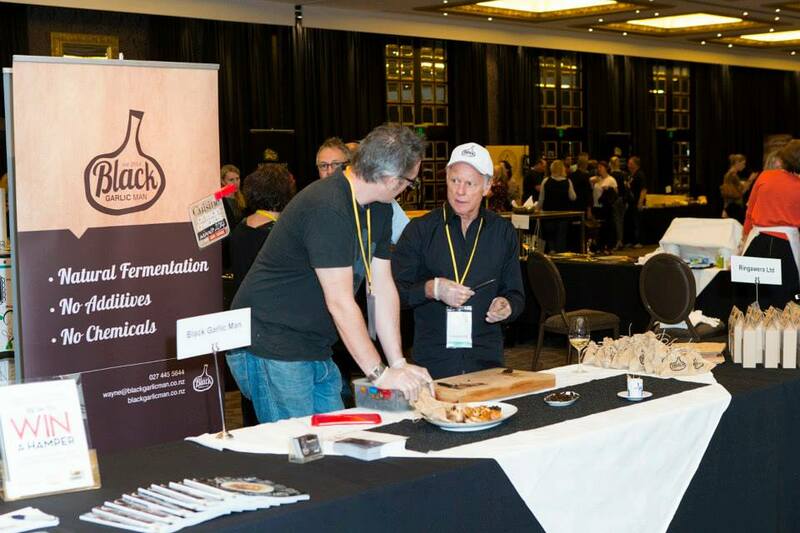 As a result of dedicated effort Black Garlic Man produces world leading, unique flavoured black garlic. 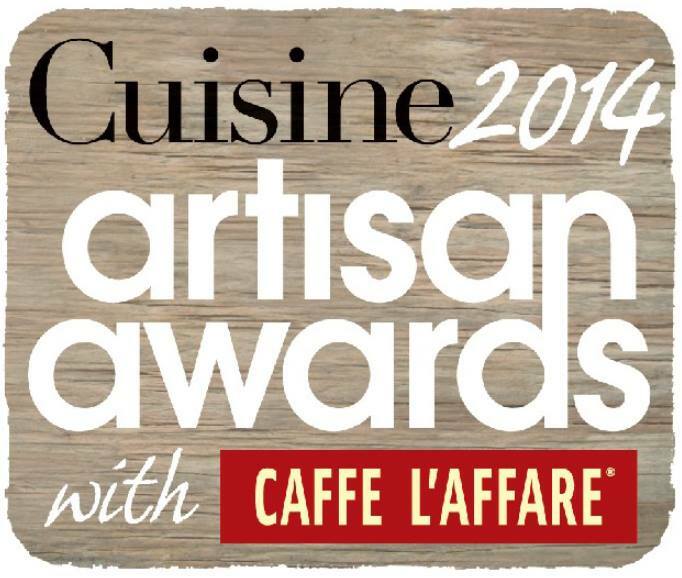 Black Garlic Man was judged a winner in the prestigious Cuisine Artisan Awards 2014. How is our Black Garlic Produced? It is produced by inducing natural fermentation which is sometimes referred to as enzymatic fermentation. The secret, drawn-out process results in a fruit-like sweet and syrupy gourmet delight that has a texture akin to prunes. The strong and lingering flavours of raw garlic are replaced by a more subtle garlic taste. Added to this are well balanced hints of caramelized licorice, balsamic vinegar, and perhaps a suggestion of tamarind. The taste has been scientifically identified as the “fifth taste” known as Unami. This versatile ingredient adds extra depth to recipes with its richer, interesting and unique flavour. Black garlic was originally taken hundreds of years ago for its medicinal benefits. There is a marked increase in antioxidants. S-arylcysteine is generated during the process along with numerous other nutrients. This unique product has only relatively recently become keenly sought after. It is used as an ingredient/condiment by progressive and creative top end modern cuisine chefs throughout the western world. Why is OUR Black Garlic So Good? Black Garlic Man’s product has extremely low wastage. Chefs love its sweetness and as our individual cloves are larger than others in the market it is easier to use. What Could Be Better Than Black Garlic? Black Garlic Man gives you his personal guarantee of quality and personal satisfaction. 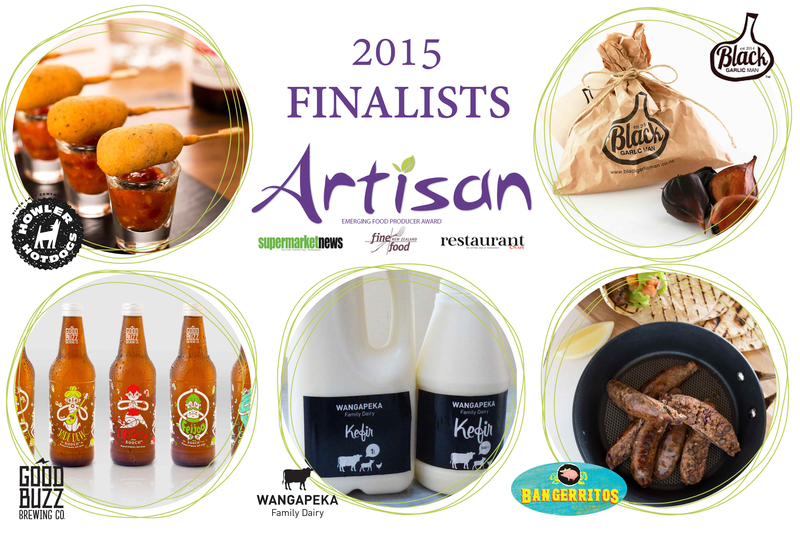 Black Garlic Man was judged a winner in the prestigious Cuisine Artisan Awards 2014. 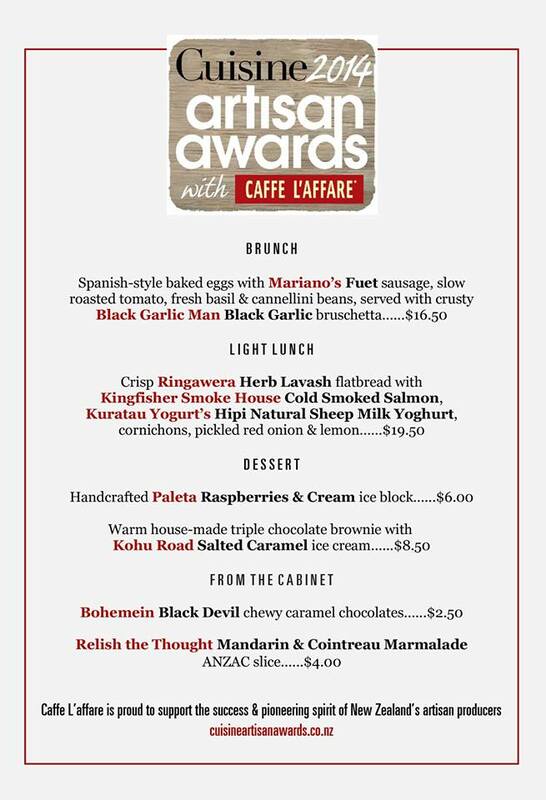 We believe our BLACK GARLIC speaks for itself. See what we are doing in the media.